The NewsMail’s front page on last month’s deaths. MONTO residents will present a wish list of road repairs to Main Roads engineers today, after a meeting about the poor condition of Monto-Mt Perry Road on Monday night. 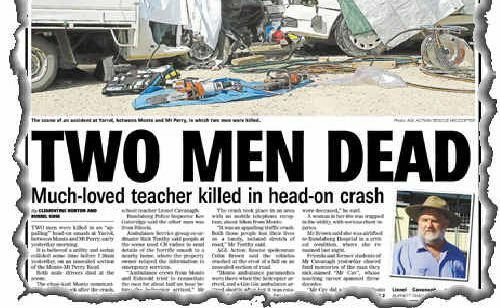 The community is lobbying for an upgrade to the twisting, partially unsealed road that connects the town to the coast, after a crash on January 14 that killed teacher Lionel Cavanagh and a Biloela man. But Monto Residents and Ratepayers Association president Lex Dow said the community was still a long way from having a bitumen road to Bundaberg. “(The ratepayers association) has been asked to collect data about crashes and injuries on the road, to convince the government that it needs to be fixed,” Mr Dow said. The Department of Transport and Main Roads had budgeted for a $738,000 upgrade for a one kilometre stretch at Eagle Heights, where the crash took place. The upgrade is scheduled to take place by early next year, and will include realigning the road to remove some curves, improving the vertical alignment and putting in more signs — but the road will not be sealed. “There was a fair bit of criticism from the public about that — they are going to improve such a small section of the road and it still won’t be sealed,” Mr Dow said. Fewer people than expected attended the meeting, but Mr Dow said there was still strong community support for an urgent upgrade. 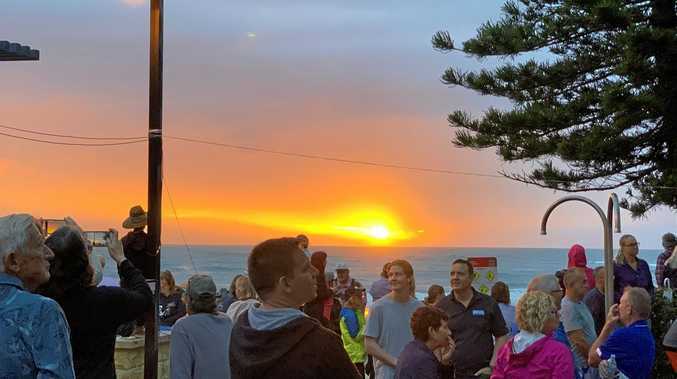 “We had about 200 people attend from the community, and three (North Burnett Regional) councillors, North Burnett Mayor Joy Jensen and the Member for Callide Jeff Seeney,” Mr Dow said.